Before sharing the Top 8 reasons why to use a Gantt chart for scheduling, let’s first be precise what is meant with “scheduling” here. I believe there is a fundamental difference between a plan and a schedule (both if applied for project and for production management), and the respective meanings should be clear so that going forward we can focus on the scheduling side of things: both scheduling and planning have a kind of bridge function, however obviously between different types of shores – to stay in the analogy. On the one hand, a plan spans the bridge between supply and demand, and thus provides answers to questions like what, when and how much. On the other hand, a schedule spans the bridge between the plan and the execution level. It brings a significant level of detail to the plan (e.g. constraints, resources, sequence of operations, activity-specific capacities) and pursues the target of securing the best possible execution. Having said this, let’s now have a look at why I fundamentally believe that Gantt charts are a useful tool for scheduling purposes. 1. Intuitive: Jump-start for everybody. Leonardo da Vinci said: “Simplicity is the ultimate sophistication.” – Not sure whether Henry Gantt had this principle in mind when he invented his famous chart, but the Gantt chart’s basic idea and the inherent simplicity are striking. Take a timeline, the resources and paint boxes for the activities and their duration. That’s it. Everybody understands this, and thus the basic concept of the Gantt chart. You do not need to send your schedulers to overpaid project or production management courses to teach them how to work with a Gantt chart. Their intuition will tell them. Whenever you want to use a Gantt chart for your project or your production schedule, you can start from the minute you have the idea. No intellectual ramp-up time needed. 2. Clarity: eases manager/employee communication. I used the analogy of a bridge earlier. 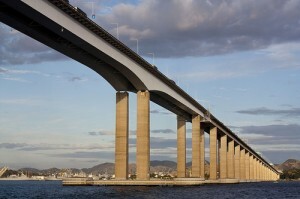 To some extent, a Gantt chart also can work as a bridge: between working level and management. As it is that intuitive and easy to understand, it speaks the language of both management and working level. This is of utmost importance for scheduling purposes as – by definition – scheduling impacts the execution level. If you want to manage and measure execution, and want to enable operations to achieve their goals, you need to provide them with the appropriate tools to do so. Hence, a Gantt chart can play a vital role for closing the gap between management and operations. It is easy to work with for operations and nevertheless provides the information that management typically seeks. 3. Reducing a burden: making reporting straight-forward. Let’s stay - mentally - on the execution level. I all my career, I barely met any employee who loves reporting; which btw seems to be fair enough from an employee standpoint. Well, we all know that for obvious reasons the company standpoint always is different. Reporting naturally belongs to any employees’ professional life. As Gantt charts are easy-to-use for employees, and highly appreciated by management, they are a great tool to report on the progress with the scheduled activities. E.g., they can be easily used in a status report to show how much of the schedule has been completed so far by displaying the progress of an activity in a specific color. 4. Increasing efficiency: documenting best practices. Many projects and/or production operations in one company to some degree have activities that constantly repeat. By consistently using Gantt charts to visualize and track the schedule, these Gantt charts over time incorporate and document best practices. This is especially useful, when project or production teams change and when new staff has to take over the schedule of a running operation. Again, the fact that Gantt charts are highly intuitive kicks in here: in the described way, the best practices are not kept in a format that is only meaningful to the previous project or process owners. They are documented in a format that is crystal clear for everybody and that for sure will bring new scheduling staff up to speed rapidly. This will increase organizational efficiency, and as such Gantt charts can make a valid contribution to knowledge management. 5. Providing insight: making dependencies transparent. As easy as the concept of the Gantt chart is, as powerful is the insight it delivers. Especially if we add another “building block” to timescale, resources and activity nodes: the links between the activities. If a process only can start if another has finished (or has started or is semi-finished), a Gantt chart can easily display this. As such, a Gantt chart does not only deliver an overview of the sequence of events. It also provides important information for project/process managers as it visualizes the critical path and hence guides the schedulers’ attention to those activities that are crucial and deserve a specific treatment. 6. Management relief: closing the “excuse department”. This kind of transparency provides another significant value especially for the management level. It helps closing what I tend to call the “excuse department”. With clearly showing all process step dependencies no employee can try to step out of his area of responsibility and claim: “I know my task is late, but I was not aware that this has such a big impact on the overall process.” Everything is transparent to everybody; the critical path is visual; responsibilities are clear. There is no right for process owners to come back with excuses. The “excuse department” gets closed with applying a meaningful Gantt chart. 7. Cutting a Gordian knot: from detail to high-level and back. One of the great facets of a Gantt chart is that you put in a lot of details about the project or the respective process without losing a high-level view. State-of-the-art Gantt software tools allow to group and sort the data so that you can start with a high-level view and quickly drill-down into all relevant details. Also, these tools facilitate optimized views so that you can grasp major details even when applying a high-level perspective. Moreover, you can easily build a “master Gantt” and then have “sub Gantts” for various sub processes so that you can bring together seemingly independent elements and processes from various parts of the organization into one big picture. 8. Interactive Gantt charts: achieving agility. We all know this phenomenon that also is true even for a world-class schedule: As soon as execution the schedule starts, an unforeseen event happens that require a deviation from the schedule. A Gantt chart that is built with interactive software enables the schedulers to quickly react to these changes, alter the schedule and even develop scenarios (e.g. “what happens to my resource capacity usage if I move that specific task a few days out?”). These visual scenarios and rapid reactions to short term incidents then allow quick changes of the schedule, and of the respective operations. That way, a Gantt-centric schedule is a great catalyst for achieving operational agility.